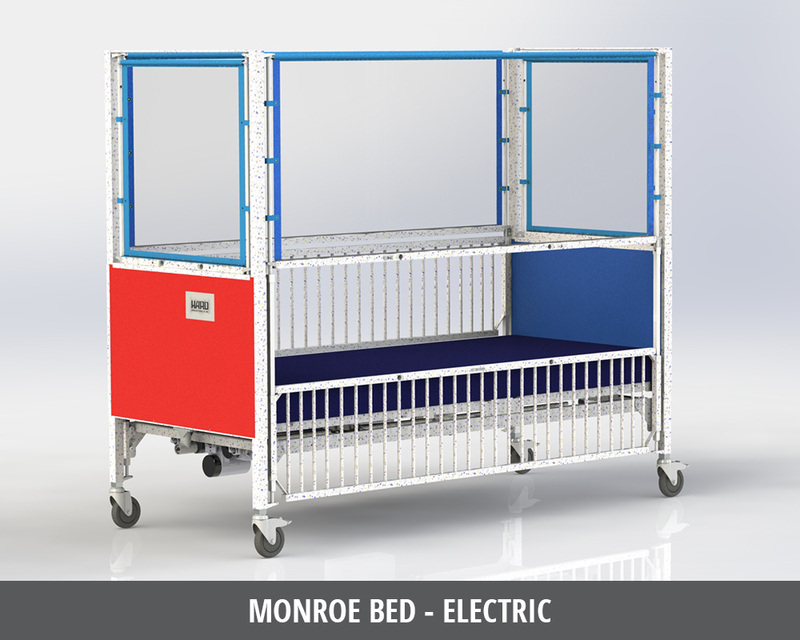 Our Monroe Youth Bed is designed for use by active pediatric patients who may be at risk of climbing out of bed. Featuring clear vinyl safety panels, this youth hospital bed provides a safeguard while allowing patients to view their surroundings. The base model affords the opportunity to manually raise and lower the bed height as well as adjust head and knee articulation. The electric model features a nurse control panel for ease in adjusting the head, foot, and height of the bed to facilitate care for the patient. 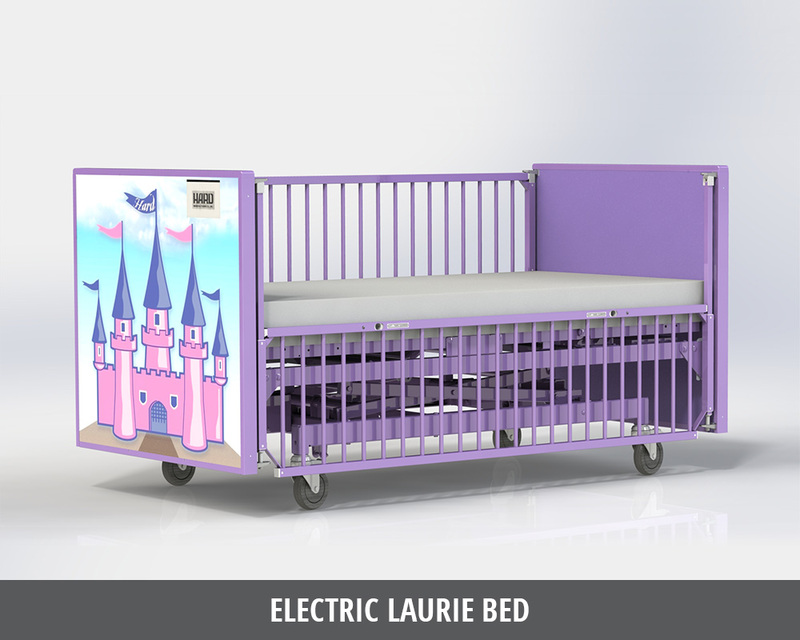 Our Laurie Bed, featuring a princess design, is an electric hospital bed that was created to treat young patients like royalty. Our Race Car Bed is a fully electric youth bed designed to make the patient feel like they’re in a fun race car rather than in a hospital bed. Our Stockton Youth Bed, available in manual or electric models, provides a cost-effective alternative to a full-size adult bed for pediatric units.